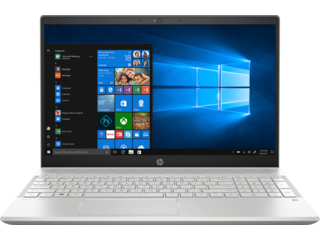 With the flexible specs and revolutionary new usability features we’ve loaded into our latest HP Pavilion Laptop series, there’s never been an easier entry into true performance computing. Packed with battery life and designed with care, you’ll get the perfect balance between the portability you need and the capacity you want. Each laptop starts out with a powerful Intel® processor and a mixture of premium features, like extra power and space (up to 8GB of memory and 1TB of HDD storage) or the clarity of expert tuning by the audio specialists at B&O PLAY. When shopping our Pavilion line, you’ll pick from a range of customizations and add-ons that include basic builds for everyday tasks, to more elaborate setups. From streamlined builds to quad core options that can keep pace with even the most rigorous tasks, we’ve got you covered. Looking for a rich and immersive media experience? You’ll have everything you need with an HP Pavilion Touch Screen Laptop. Choose between a trio of graphics card options across our HP Pavilion 15 line, or tap into something truly new with the impressive extras we’ve built into the flexible, lightweight HP Pavilion x360. Want a laptop that takes portable computing to a new benchmark? 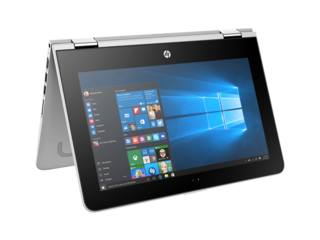 Consider the game-changing HP Pavilion x360, an innovative new model with a 14-inch diagonal display and a minimal, contemporary exterior design. You’ll never feel tied down thanks to its durable touchscreen and revolutionary 360° hinge. Straightforward and easy to adjust, the x360’s unique detachable hinge allows you to cycle between four convenient viewing modes. Each mode is fully optimized to its own variety of different uses, so you can take your pick of whichever setting suits whatever you’re doing. Adjust your x360 to the default laptop mode for your standard home office routine, but know that you have options for when it’s time for entertainment. You can go fullscreen and keyboard-less with stand mode for an orientation that emphasizes your display and gives you a comfortable way to stay close up to the action. With tent mode, your setup becomes optimized for touchscreen use, gaming, and even audio. But maybe you just prefer the mobility and freedom of motion that typically only comes with a tablet? We’ve got you covered there too - simply detach your display and you can use your x360 like a tablet. Worried about the lifespan of the those critical hinges? Change modes as often as you like without breaking a sweat or fear of wear. Each x360 is tested across tens-of-thousands of openings, closings, and adjustments. Think you may need yours outdoors? Fortunately for you each hinge is enclosed in metal to protect against the elements and particulate damage. The x360 may be compact - it weighs in at just under 3 lbs and measures less than 20 mm thick - but it delivers an incredible mobile laptop experience that offers both convenience and high-powered specs. Want a bigger, but equally stylish standard-model laptop that has everything you need for work or play? You’re sure to find something suited for you among the diverse and affordable options for our HP Pavilion 15t Touchscreen Laptop. Starting with 8GB of memory, 1TB of HDD storage, a 7th Generation Intel® Core™ i5 processor, and Intel® HD Graphics, the line offers serious oomph at a surprisingly affordable price point. It also boasts a modern design that comes in multiple color options. While the x360 blurs the line between laptop and tablet with its blend of portability and immersive multimedia features, the Pavilion 15 line offers a comfortable hub for your work and loads of choices for finding a configuration tailored to you. Try a performance option for work and collaboration to give your output a major boost with top-shelf configurations that feature AMD Radeon™ R5 Graphics or the impressive power of an AMD Quad-Core A10 APU. Dual HP Speakers, HP Audio Boost, and tuning by B&O PLAY also guarantee that each model can provide a vibrant media experience. Working on-the-go? The Pavilion 15 can run for up to nine hours with lighter configurations, and more than seven for higher-powered builds. It can even recharge up to 50% of its battery life in only 30 minutes, making mobile work more seamless than ever before. And to keep your new laptop safe from harm, bundle it with a sleek protective sleeve and other similar accessories. The ongoing shift toward portable computing means that working with aging devices can leave your routine feeling like it’s under an unforeseen threat. We combat this by making sure HP Pavilion Laptops are built for more than just freedom of use. Alongside more radical features and usability innovations, you’ll find a complete suite of accessory ports across this line that’s mobile and powerful. Work or play wherever life takes you, and then plug back into your usual workstation or office without the hassle of extra adapters and cords. With its outsized performance, battery life, and media features, this line offers everything you need to stay ahead of the competition. 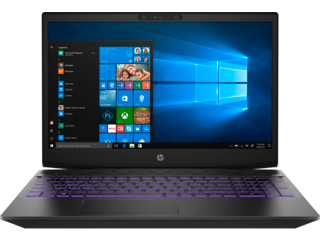 Even better, you can shop with confidence because both styles of this HP Pavilion Laptop are designed to make a big impact without lightening your wallet after checkout.